China has launched an app that notifies its users if there is someone in debt within 500 yards of their location. The app also encourages citizens to report the debtor if they look incapable of paying up. WeChat is China’s most popular instant-messaging platform. The app provides users with a map and on-screen radar tracking of “deadbeat debtors”, whose exact locations are marked with pins. Tapping on each marker reveals the debtor’s personal information. It also alerts its user with a flash when a debtor is in their vicinity. It is unclear how much debt a person must be in to attract this invasion of privacy, what behavior is indicative of an inability to pay debts, or how the app’s user can report a debtor they suspect to be financially wasteful. The app’s operation is currently limited to the Hebei province. 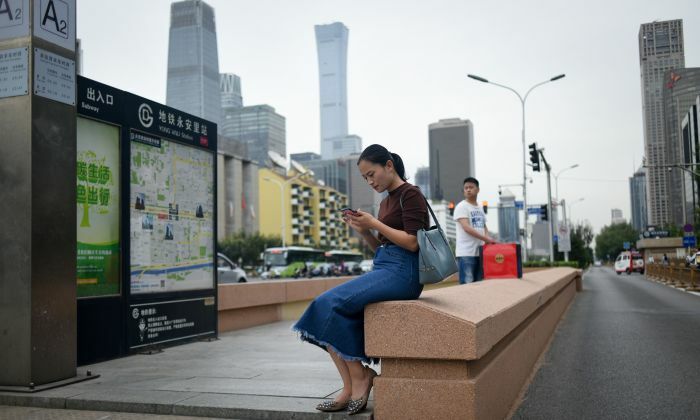 Reminiscent of dystopian fiction, the Chinese communist regime unveiled the app amid a nationwide crackdown on lending, as a new addition to its highly controversial “social credit” system. The social credit system is a vast ranking system that monitors the behavior of its population and assigns them abstract scores according to their “social credit”. The system will be made mandatory in 2020. It will measure a person’s trustworthiness through an assessment of their behavior on public transport, purchases, social media posts, ability to pay off loans, etc. The exact methodology has not been disclosed. Presently, the system is fragmented—some are run by private technology companies like Alibaba, while others are run by city councils. However, it has already penalized more than 6,000 people for failing to pay their taxes on time or misbehaving on public transport, barring them from traveling across the country’s borders by plane or train between June and January, the Business Insider reported. Other punishments include bans from certain jobs, slowed internet speeds, and confiscation of pets. Children of parents with bad credit scores can be denied admission to desired universities. Last October, a foreign journalist recorded an announcement made in English warning people not to misbehave on a bullet train from Beijing to Shanghai, raising the question of whether tourists and other visitors to the country will be subjected to this system in the future.